For years, while breweries popped up all around the Twin Cities, Edina watched idly by from the sidelines. 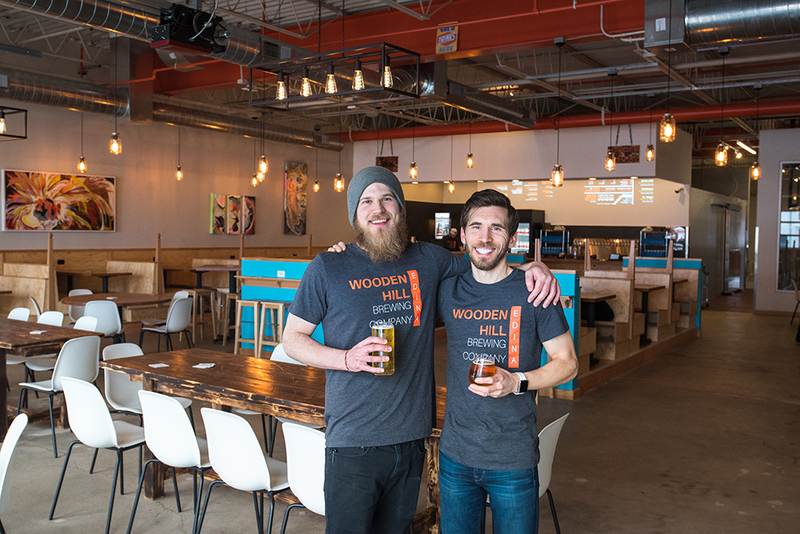 But brothers James and Sean Ewen, who recently opened Wooden Hill Brewing Company, believed beer lovers in the Twin Cities’ southwestern suburbs wanted a brewery to call their own. And so far, the people of Edina have proven them right. When Wooden Hill dropped the announcement of their soft opening, a mere two hours before it was to take place, on February 28, people turned up. Some customers even took a detour on their way to the airport. 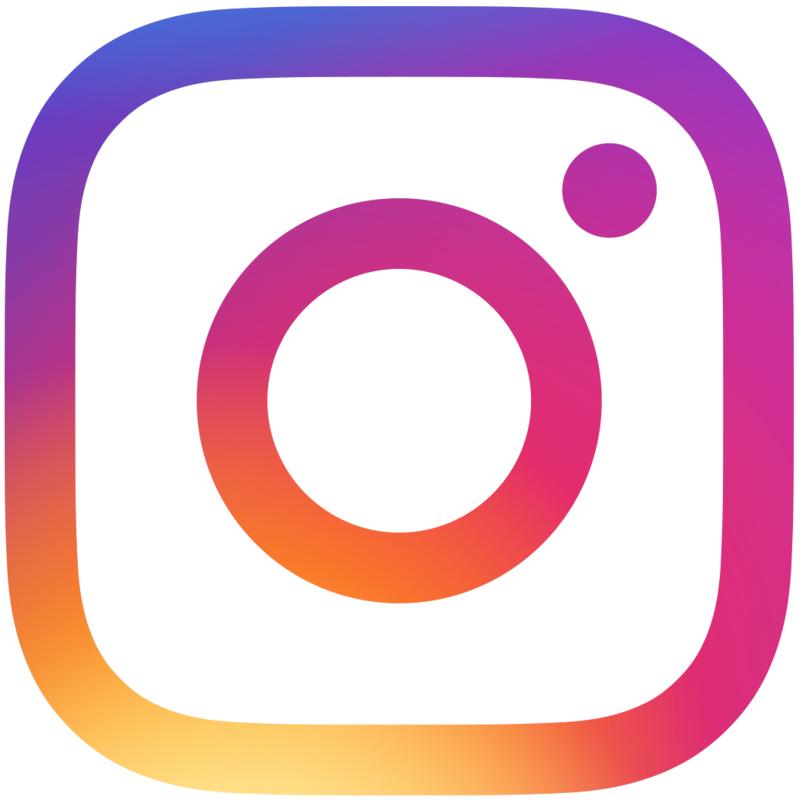 In the time since the opening, the owners have already seen a good share of returning customers, which tells them they’re doing something right. James started brewing when Sean gave him a kit for his 21st birthday. 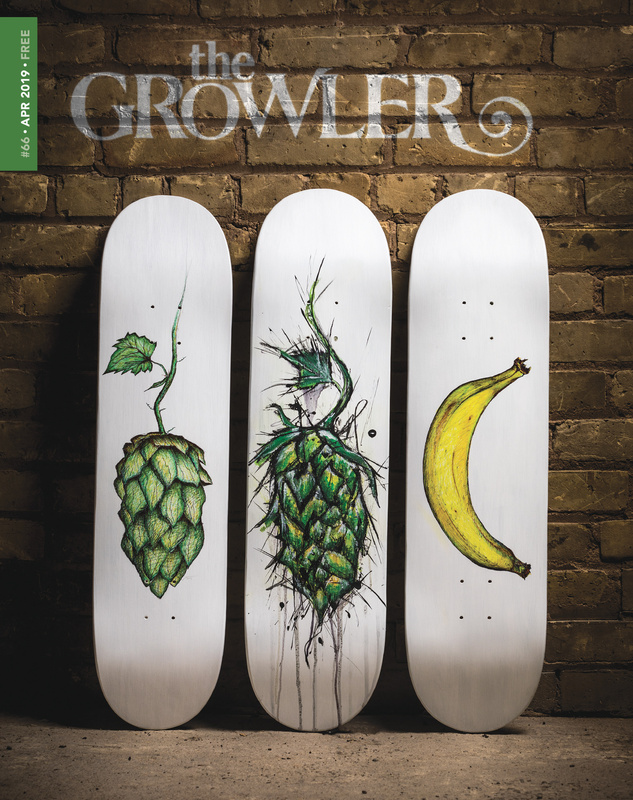 Before long, he began entering competitions and getting recognition for his beers. But for him it wasn’t about the accolades, it was about the togetherness. “That’s what I always liked about homebrewing, was sharing it with people,” James says, “so that’s kind of where this started to develop.” And he keeps that idea at heart as he transitions to brewing production-sized batches. One of the ways that James keeps the homebrewing attitude is by emphasizing simplicity. When formulating a new recipe, “I kind of question every ingredient as I’m doing it,” James says. “If I can’t explain to myself why it’s in there then I get rid of it.” This gives Wooden Hill’s beers clean, straightforward flavors, he says. But that doesn’t mean they won’t push the envelope. Part of their menu will be a rotation of “culinary beers.” Recently, they had a beer named Cinnamon Crunch, made to taste, as one might guess, like Cinnamon Toast Crunch cereal. Another beer was called Rabbit Hole, a carrot cake flavored beer. Sean also makes a low-sugar flavor infused water called Steeped that they view as a healthy alternative to soda. 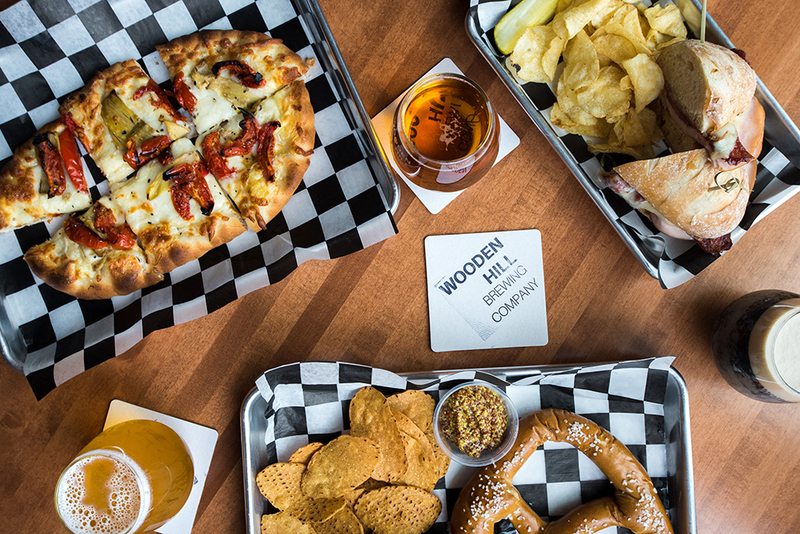 For food, Wooden Hill (licensed as a brewery, not a brewpub) has its own kitchen, which serves roasted sandwiches, gourmet hot dogs, and flatbread pizzas. There are gluten-free, vegan, and vegetarian options, because they know part of making the people happy was making sure that everyone had something to eat. Like the beer, the food will also go in interesting directions. Recently joining the kitchen staff is MasterChef season four contestant, Jordan Roots. Jordan will continue the brothers’ plans of adding a gourmet spin to traditional taproom concessions. This will coincide with the expansion of the taproom’s kitchen, which should be finished in the next few months. 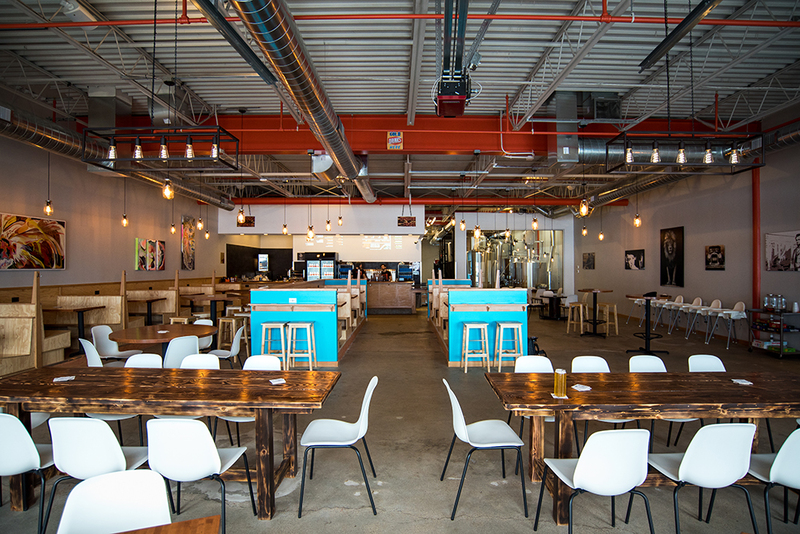 The “wooden hill” theme is reflected in the taproom’s design. Light fixtures, which hang down from the ceiling, are laid out a different lengths to resemble a staircase. And if you order a flight, you get a staircase of beers, with each step up moving you through a series of flavors. 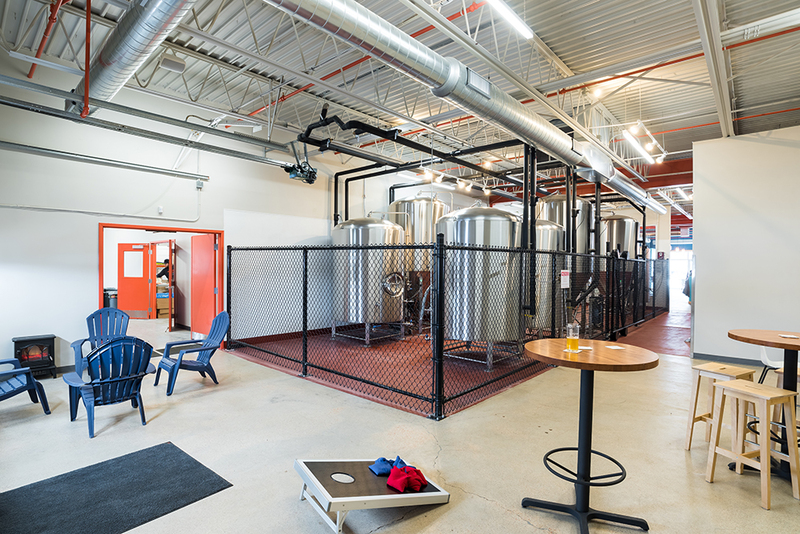 All of it gives the taproom a familial, comfortable, welcoming atmosphere. Since opening, things have moved faster than the brothers expected. 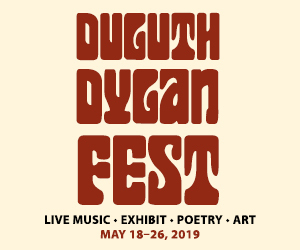 Though they hadn’t planned on distributing the beer in their first year of operation, their beer is already available in certain liquor stores in Edina and White Bear Lake, and on tap at The Stray Dog in Northeast Minneapolis. But for now, James and Sean are glad to be bringing the everyone together in their taproom. 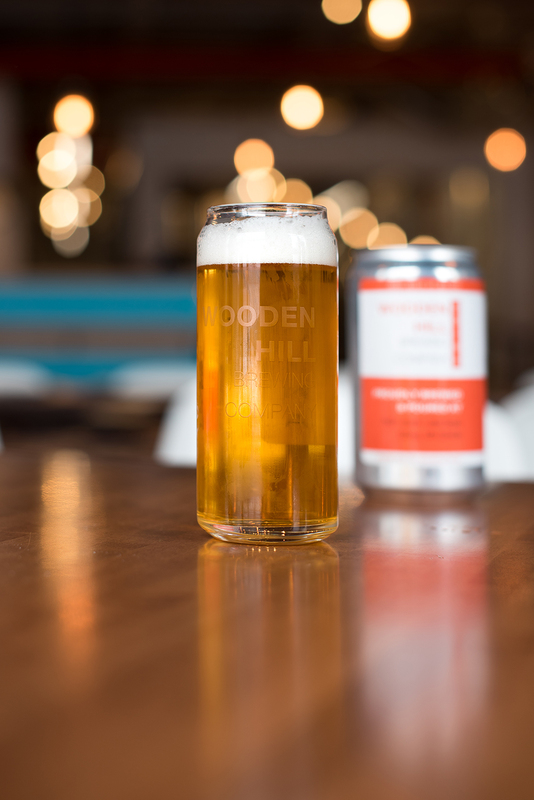 On May 5, Wooden Hill Brewing will celebrate its grand opening, and the days when the people of Edina had “no brewery to call their own,” will officially be a thing of the past.